If the whole football career thing doesn’t workout for this Arkansas State player lined up in the slot, he might just have a future in Hollywood. 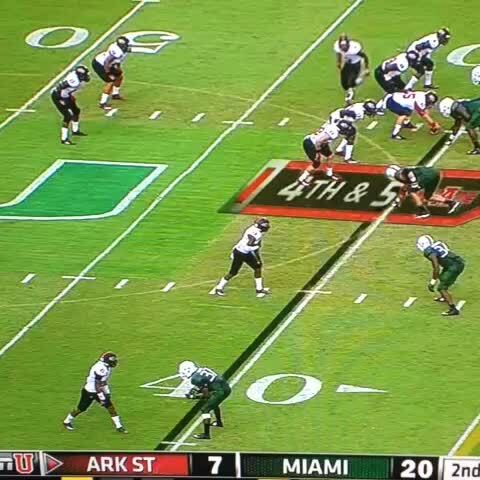 Watch as he pretends to fake his death while the Red Wolves attempt a fake punt against the Miami Hurricanes. That right there is what we like to call innovation. The Hurricanes sniffed the play out, but I wouldn’t shelve this wide out’s idea just yet. You never know when these acting skills could come in handy. And last, but certainly not least, if you’re going to try to pull this off, make sure to keep your head on a swivel when getting back up.